Many pet owners have questions regarding how to decide on the best vaccination strategy for their pets. Most commonly, the primary concern is what to vaccinate against and how often. 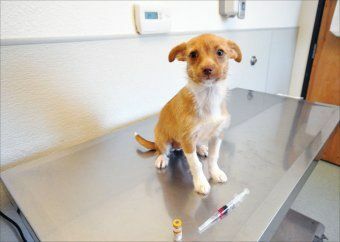 Vaccines are an important part of a pet’s health care plan but they should not, however, be given without careful consideration of the risks and benefits to each individual animal. At Park Animal Hospital, vaccination protocols are tailored to the individual animal based on lifestyle, age, breed, and any underlying medical conditions. Try this Lifestyle-Based Vaccine Calculator for Dogs to help you decide what vaccines your dog does and doesn't need. ...to access the current AAFP vaccination guidelines for cats and a description of each of the diseases against which we can vaccinate. ...to access the current AAHA vaccination guidelines for dogs & cats. ... to learn about the Rabies Challenge Fund, researching to reduce the need for repeated rabies vaccines.